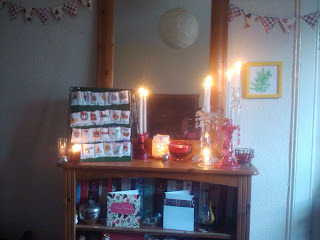 I can now finally write my most Christmassy Christmas post, since I was able to upload all the lovely photographs! 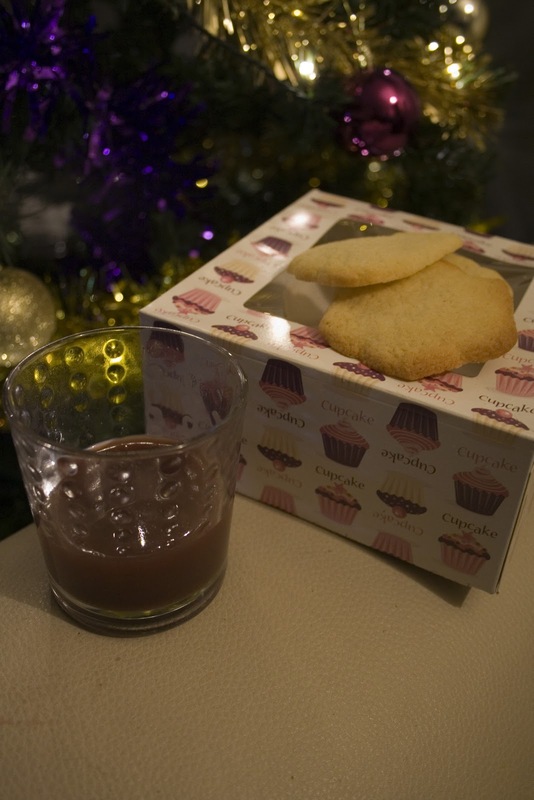 I am feeling so cheerful writing this post while the Christmas Muppets film is on TV!! Only one more sleep in my new christmas pyjama's before I can open all the presents, and have a wonderful christmas day with family! This is my lovely christmas tree, which I put up on the 10th December, which is shockingly late for me as I always traditionally put my tree up on the 1st as that is what my Mum used to let me and my sister do. 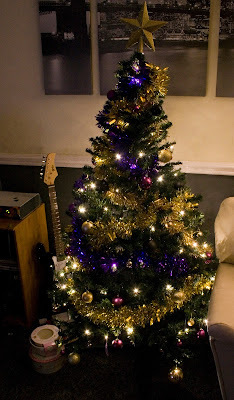 I have purple and gold decorations, although I am tempted to change them to red and gold next year, to make it even more festive! 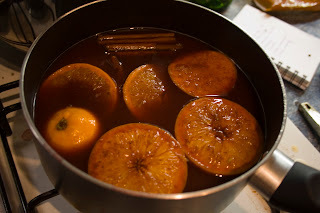 Check out my pot of lovely oranges and spices in heated up red wine, this was the first time I made my own mulled wine... although I had to sieve it several times since I accidently put too much spices in.I still got to enjoy it with some yummy homemade baked treats which was made by my christmas swap blogger Joey.Though tonight I am cheating a bit as I bought a bottle of mulled wine from Icelands he he, but hopefully it still tastes yummy minus all the mess of creating your own mulled wine. Speaking of my christmas swap blogger, this year I participated in a Christmas Goodie swap that was hosted by Hookin' With Laalaa. The idea was to make a handmade Christmas decoration, plus sending an extra 5 bought/handmade treats which Joey and I decided to include a home-made foodtreat! I had an amazing time participating in this swap and I am delighted to hear that Joey loved my treats to her, check out her post on the Christmas swap!! 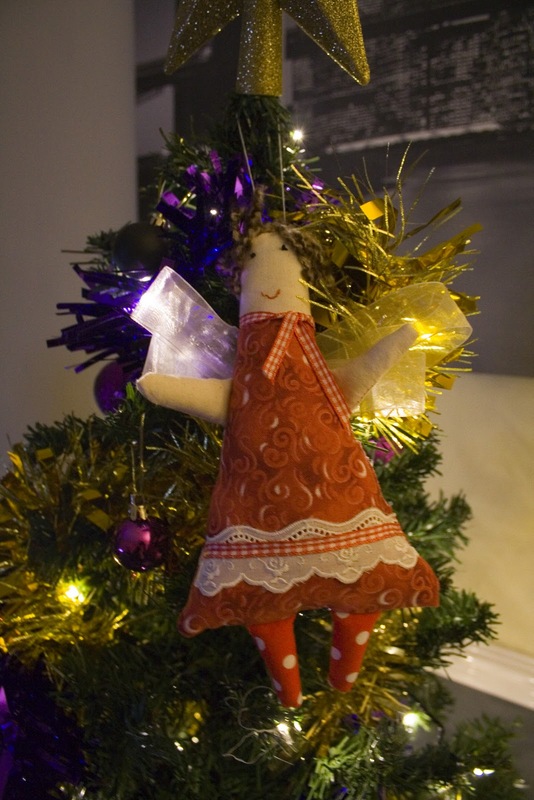 I will first show you the lovely little angel that she made for me as a christmas decoration, isn't she adorable. I love all the different fabrics that Joey has used to make her, especially her dotty little legs. 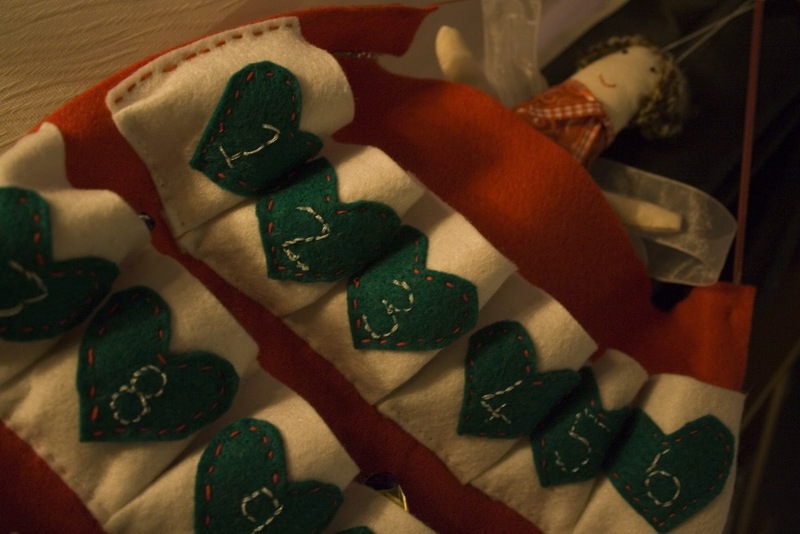 Oh, and she has little white wings made from a lovely ribbon...Doesn't she look so happy here?! I felt very honoured to be sent such a lovely handmade decoration like this, it looks very difficult to make! A very talent made little gift! Can you tell I love her?! I want to give her a name!! 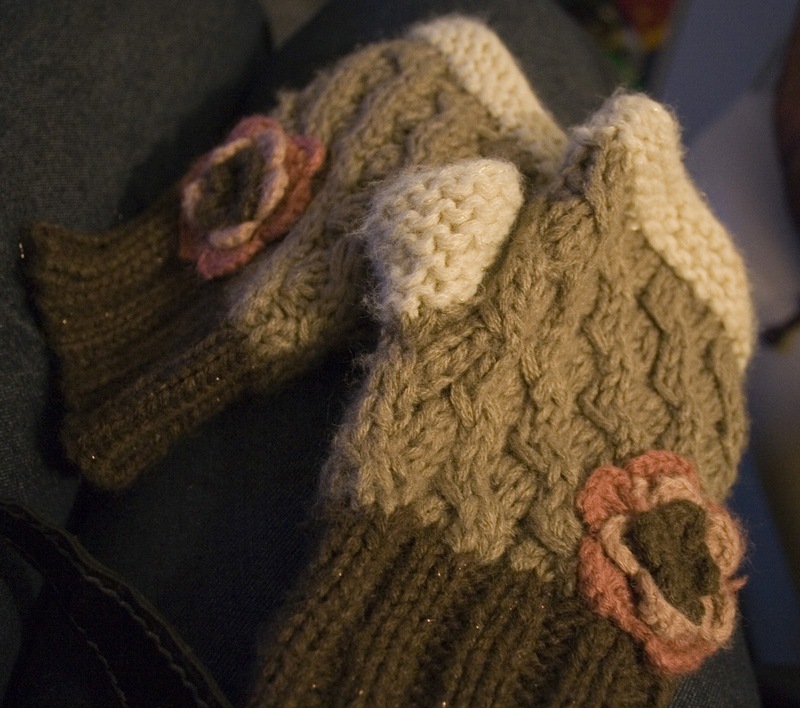 As well as my lovely angel decoration, Joey sent me these lovely fingerless mitten which are so cosy and I received them just at the right time as it got really cold and snowy in Scotland!! 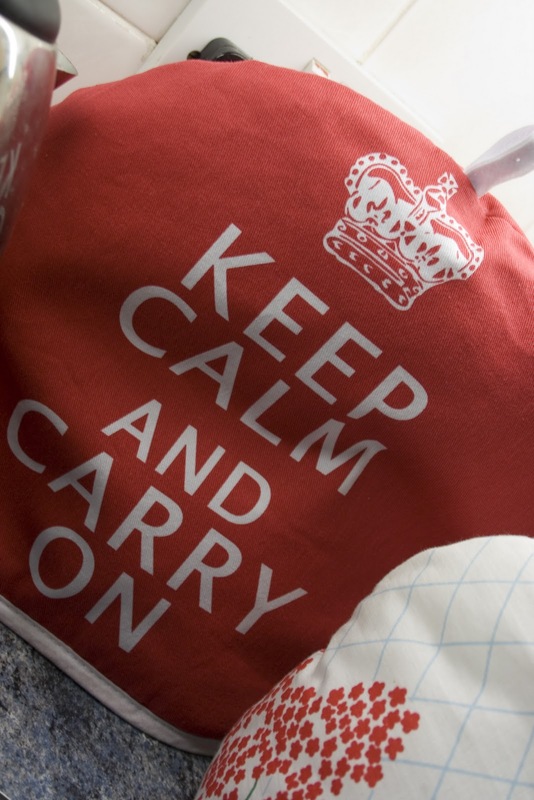 I also received a Keep Calm and Carry On Teapot cosy and its right at home in my kitchen! Joey also sent me a lovely long silver necklace and two pairs of cosy fuzzy bedsocks, which have been keeping my feet very warm in the cold night times!! I thank Joey so much for being my swapping partner in this Christmas swap, it was fun! Lastly I want to show you what my sister Lisa made for Andy and I for Christmas, we got it as an early present mainly because we would have lots of chocolate to eat if we opened it on Christmas. My sister told me that she made this using soft wool felt, and it was all sewn by hand! Since I am not great at sewing, I can definitely marvel at how wonderful she has done the numbers on all the little hearts. Lisa was that determined to have it lovely that she attempted the 20 something numbers three times!! Even my little Joey Angel seems to like the advent calender, or maybe its the chocolate eclairs she is eyeing up?! Think I will be keeping her away he he. I really appreciate her doing this for me, and it will be great to have an advent calender that I can use every year! Which is something that is becoming a little family tradition as you can see my sisters advent calender in the photograph below! When I get older and start having children of my own, then they can use our advent calender. Thank you so much sis! That is my festive contribution on Christmas Eve, although now to go and make some lunch since Gordon Ramsay is on TV talking about a Christmas feast is leaving me feeling peckish. We have a great spice syrup for making mulled wine and cider, no fuss no mess and you can do any quantity, from just one mug to a whole panful. So much easier than mucking about with spices and fruit! I love your purple&gold Christmas tree! 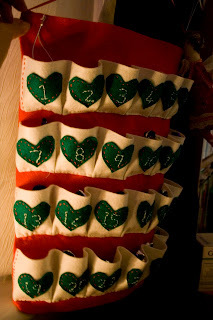 :) And that advent calendar is just so cool. What a perfectly divine christmas post! I loved hearing all about your treats! Good morning! 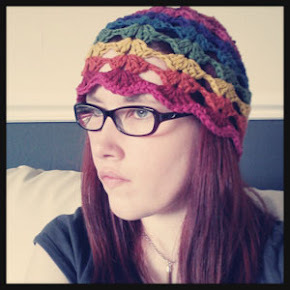 I have just found your blog and really enjoyed catching up with your past posts. So now I am your newest follower! Hope you are continuing to enjoy the holidays.